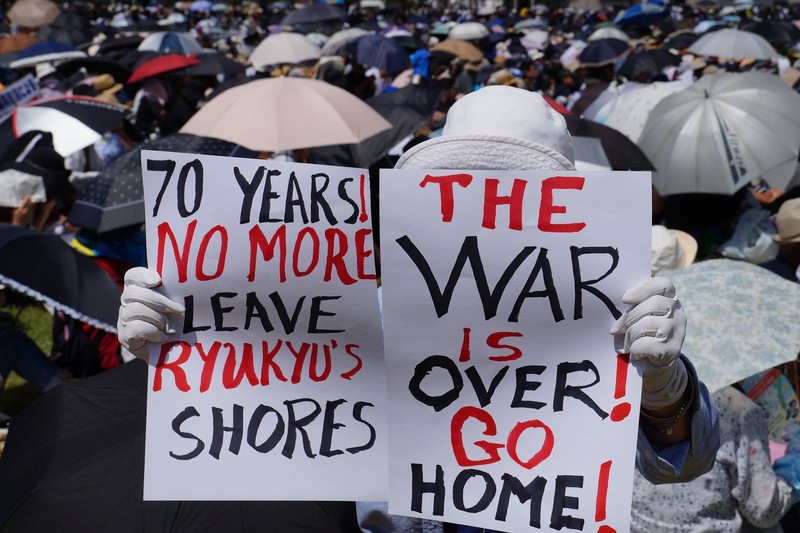 OKINAWA, Japan – Hundreds of anti-US military protesters, including Ikehara Junko, a long-standing activist, gathered outside Camp Schwab in Okinawa on Saturday to demand the end of the US military presence in their country. Activists gathered outside Camp Schwab carrying banners, such as “Marines Out”, and chanting against the US base. Okinawa hosts about 75 percent of all US military installations in Japan, and is an important geopolitical outpost for Washington allowing to project power in the region that neighbors China, Korea and Southeast Asia. The US has been there since the end of World War Two. Paul Antonopoulos is a Research Fellow at the Center for Syncretic Studies. He has an MA in International Relations and is interested in Great Power Rivalry as well as the International Relations and Political Economy of the Middle East and Latin America. MAJOR: Bomb Explodes at U.S Military Base in Japan – Terrorism or Resistance?